Issue date 27th September 2018. Birds of Cyprus. They travel at your own risk. Birds of Cyprus. Full sheet (25 sets). Note the sheet is folded. Cyprus 1983 Mi. -40% quality: Lot with one or more minor faults. -20% quality: Lot with one or more faults. -60% quality: Lot without any fault, but in average conditions for the age. Item quality -100% quality: Perfect high quality lot, without any fault. STAMP PUBLICIZE OVERSEAS CYPRIOTS YEAR.STAMP DEPICTS BIRDS CIRCLING GLOBE. Date of issue: 01 August 1983. No Exclusions. -:- The item you receive may not be the item scanned, but will be of similar quality. Condition: Mint Never Hinged. Glauben Sie, dass der Preis ist nicht richtig?. 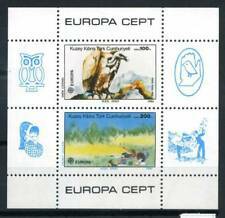 SEE SCAN CYPRUS: TURKISH SG140/3, 1983 BIRDS UNMOUNTED MINT . Cyprus 1983 Mi. 5 SS 100% Cept, birds. -40% quality: Lot with one or more minor faults. -20% quality: Lot with one or more faults. -60% quality: Lot without any fault, but in average conditions for the age. Issue date 27th September 2018. Official FDC. Here is a superb mint never been hinged set from Cyprus of 1969 titled Birds of Cyprus. Cyprus 1983 Mi. 5 SS 100% Cept, Nature, birds. -40% quality: Lot with one or more minor faults. -20% quality: Lot with one or more faults. -60% quality: Lot without any fault, but in average conditions for the age. Cyprus, Scott# 329 - 34, complete mint set, post office fresh, original gum, Never Hinged, VF. 2018 Scott catalog value $4.95 US. 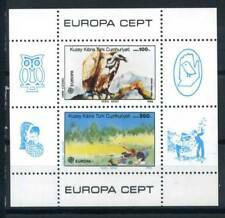 It is the 1991, Cyprus Whitear, Birds set. Good condition set of Cyprus. Cyprus 1983 Mi. 134-137 138-141 MNH 100% Birds. -60% quality: Lot without any fault, but in average conditions for the age. Stanley Gibbons No. : MS187. Scott No. : 181. -:- The item you receive may not be the item scanned, but will be of similar quality. No Exclusions. You think price is not right?. CONDITION AS SCAN. Faults such as Pinholes, Major Crase e s, T hins and Tears that are not noticable fr om e scan are always Declared. Get images that. make Supersized seem small. Stanley Gibbons No. : MS187. Scott No. : 181 a-b. -:- The item you receive may not be the item scanned, but will be of similar quality. No Exclusions. Fresh and very collectable. The picture is of the actual stamp/s you will receive. No Exclusions. -:- The item you receive may not be the item scanned, but will be of similar quality. Date of issue: 10 October 1983. Cyprus 669-670 sheets of 20, MNH. Mouflon, Flamingos. Region Cyprus. Country/Region of Manufacture Cyprus. Year of Issue 1986. Cyprus 669-670 sheets,MNH.Michel 655-666. 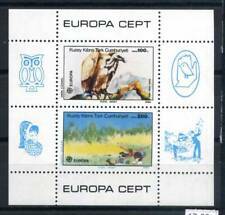 EUROPE CEPT-1986.Mouflon,Flamingos. 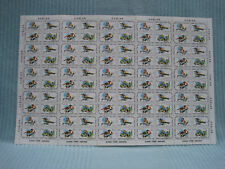 Cyprus 669-670 sheets of 20, MNH. Mouflon, Flamingos.